The other day my girlfriends took me out for a treat,a day at some swanky spa at an address in Upperhill. To be honest I have never gone to a spa ,never thought it was necessary but hey there is always a first time for everything and I and my body loved every minute of it. Getting myself a heady and aromatic coffee scrub , followed by a dead sea wrap that took me back ,way back to what babies must feel like when they are tucked into their mothers wombs had my skin pores absorbing the moisturizing cream and oil that was used thereafter.A massage followed and my skin and body loved every minute of it as my tense muscles responded to the massage therapist gentle coaxing by relaxing under her touch. As we sat at the terrace of the restaurant enjoying a view of the garden I thought of the millions of women who all want glowing skin .How could I be able to talk to them about incorporating nutrition as part of maintaining the glow that followed spa treatments.How would I make it easier for them as well as for myself to maintain the smooth glowing skin that followed a spa treatment as part of living a healthier lifestyle? What you eat ,you wear in public and your skin being the largest organ is the first point of call when you want to gauge how healthy your lifestyle is.Making some small changes in your diet can improve the look and feel of your skin and it starts with what you put on your plate. Ensure your fruits and vegetables come in a variety of colors,make you plate a rainbow of colors .Fruits and vegetables are essential as part of a daily skin care regimen because they help protect your skin from damage that is caused by free radicals .The vitamins present in abundance in fruits and vegetables help boost your immune system making it easy for your skin to heal from blemishes and support growth of collagen which provides your skin with the elasticity needed to prevent formation of fine lines and wrinkles. Nuts and seeds are great sources of vitamins and especially Vitamin E that is good for your skin and helps support healthy skin growth as well as gives protection from the damage caused as we age.An intake of nuts and seed,you just a need a handful daily will help provide much needed nourishment to your skin. Crash diets play havoc on your skin,constantly losing then regaining your weight will show on your skin with the presence of wrinkled and sagging skin.That is why it is really important to maintain a healthy weight by making healthy eating a lifestyle decision that is not reliant on a diet that you cannot sustain in the long term. We know that junk is bad for your body ,and it is bad on your skin as well.A diet high in carbohydrates and sugar may result in breakouts on your skin .Make sure your plate is filled with the right kinds of foods at every meal. Your skin needs water to stay supple ,drinking your 6-8 glasses of water will help flush out the toxins from your body and aids in nourishing your skin cells and improving circulation .This will help prevent premature aging and wrinkles. In addition avoiding excessive alcohol consumption and taking moderate amounts of tea and coffee which all dehydrate your body will help your skin maintain its glow. If you really do have to take alcohol and love your morning cup of coffee, then make sure you take a glass of water with each serving of alcohol or cup of coffee that you take. Surprised exercise is on the list?It had to be. Exercise is great for your whole body and our skin which covers that body will benefit greatly when you take up a regular exercise schedule.When your exercise you improve the circulation of blood in your body and your blood carries oxygen,nutrients to the cells in your body.By exercising you are increasing blood flow through out your body and helping your liver flush out the toxins from your system which can mean nothing but good news to your body and your skin as well. We live in the tropics and for those that enjoy a day out in the sun wearing sunscreen to protect your skin from the harsh rays of the sun is necessary.Yes ,even for us who live in the tropics and think our darker skins can withstand the heat, we do need sun screen. Making a few changes in your life can greatly improve the condition of your skin which when done together with your spa treatments can work towards giving you a better and healthier looking skin for longer. In case of any skin conditions that require treatment be sure to see a qualified dermatologist or medical provider for treatment. Does this help?Please let us know in the comments section,see you there. Modernity and technology have killed chivalry. And despite what feminists tell you,being a gentleman does earn you points. 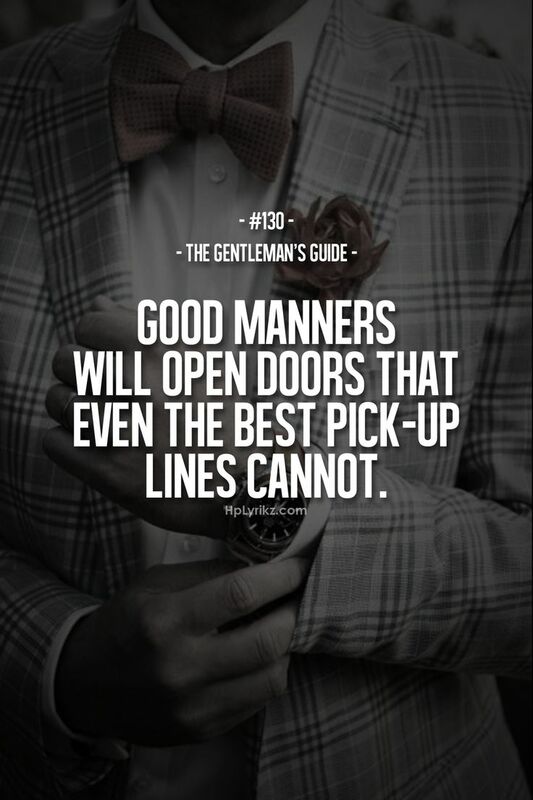 The term gentleman denotes a man who is well mannered ,sensitive and educated. While modernity has made women independent,they are still appreciative of kind ,thoughtful and well mannered men. So what defines a true gentleman today? Is he the one pulling out chairs at restaurants for his wife or girlfriend,offering to change her flat tire even when he knows she can do it very well or the one who always brings flowers for his significant other on special occasions? It is all that and much more. Integrity and Character A gentleman has character and keeps his word. He says what he means and means what he says . He is less talk more action and knows that you should listen more than you talk. Well dressed A real gentleman is always well dressed,even on casual Fridays turn up in well ironed clothes. Well dressed includes well groomed,neat clean nails and trimmed hair and beard. Get your cuticles trimmed and nails buffed to a healthy shine but do not apply clear nail polish,it looks artificial on a man. A gentleman knows family and friends come first. He knows how to prioritize his time to the most people in his life. He picks and keeps friends he can learn from. A gentleman knows the actions and decisions he makes today will affect his future. He makes thoughtful decisions and knows the importance of planning ahead. A gentleman will sit with his back to the crowd and the television.This is so as not to be distracted and to ensure he is fully attentive to his date The perfect gentleman only sits after his date is seated . And if your date is wearing a coat,please help her take it off. If you are suing public transport and an elderly person or pregnant woman get on the bus with you and there is no other seat left,the perfect gentleman graciously gives up his seat for her. A gentleman will also hold an umbrella over a lady in case it is raining even it means he gets wet in the process. He will give up his jacket if he notices his significant other is shivering . If you are going out on a date, keep time,traffic is no excuse to be late.A gentleman plans ahead. When a gentleman makes up his mind on marriage .He will go and ask her father for her hand in marriage because it is respectful and courteous. Good Guy Swag provided the resources for writing this article,so please head over there and be sure to leave a comment we may have left something out on what makes a perfect gentleman.